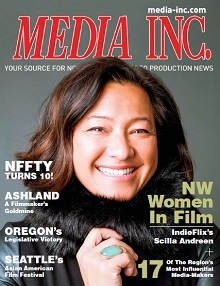 Your resource guide to the film offices, chambers, visitors bureaus, film liaisons, and state associations throughout the Northwest. Please view page 31-32 of the digital edition of Media Inc. magazine for full contact information and list of services provided. If you would like to be added to the Soundstages list please email Katie Sauro at ksauro@media-inc.com for a survey. Please view pages 61-70 of the digital edition of Media Inc. magazine for full contact information and list of services provided. If you would like to be added to the Film/Video Production Companies list please email Katie Sauro at ksauro@media-inc.com for a survey.